We will treat you with respect and dignity. Your time is valuable so we will work quickly and efficiently to get your Hawaii Medical Marijuana Card. I am an Advanced Practice Registered Nurse working on Maui. I work in Family Medicine where I diagnose and treat patients. I have certified many patients in Hawaii. There are 12 different conditions that qualify for a Medical Marijuana Card in Hawaii (also called a 329 Card). The most common conditions that cards are issued for are chronic pain and PTSD (symptoms can include anxiety, insomnia and depression). If you have a condition that causes chronic pain you will qualify. See the Department of Health's website here for more information on exactly which conditions are currently accepted. Can visitors (tourists) to Hawaii be certified? Yes they can starting on March 5, 2019. The requirements are that the visitor must 1) have a valid medical marijuana card from another state and the condition that the card was issued for must be one of Hawaii’s 12 approved medical conditions, 2) the visitor’s state issued ID (e.g. Drivers License) must be from the same state as the visitor’s medical marijuana card and 3) the visitor must complete the application online at the DOH website. A medical card in Hawaii has two separate fees. The first fee is $38.50 paid to the State of Hawaii; and the second fee is $150 paid to a person or organization that certifies you. Most providers charge about the same for initial certifications. Renewal fees however are not very standardized as some providers charge $150 while CertiCann charges just $100 to renew your card. Your consultation usually takes 30 minutes. Once it's completed your application is sent electronically to the Department of Health and you will be issued your medical marijuana card immediately online. The card is valid for one year. Do I need a Hawaii Drivers License or State ID to get certified? No you do not. Valid ID from any State or a US Passport are accepted. How long does it take to get my card? Cards are no longer mailed and are now issued electronically once you are certified. What island are you on? We are located on Maui. Hawaii currently has nine medical marijuana dispensary locations operating on four islands. Here on Maui we have Maui Grown Therapies and Pono Life both of which are located in Kahului. Aloha Green was the first medical dispensary to open on Oahu and was later joined by Noa Botanicals and Cure Oahu. All three dispensaries are in Honolulu with plans to open other locations on Oahu later this year. Visit Aloha Green, Noa Botanicals or Cure Oahu to purchase your medicine. 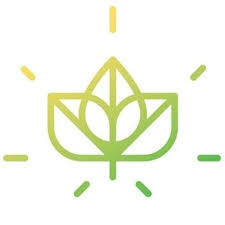 Maui Grown Therapies was the first medical dispensary to open in Hawaii and is a patient-focused dispensary that has three medical doctors on it's board of directors. Another medical dispensary on Maui is Pono Life Sciences which is currently building out it's property but is open for business. Have a Heart is Kauai's first and only medical dispensary.